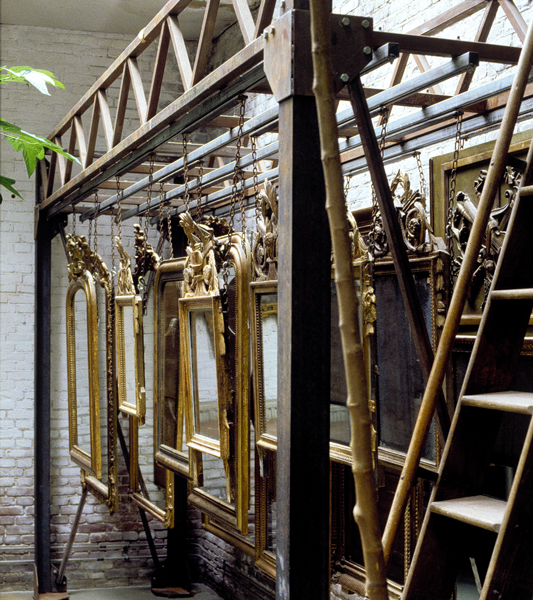 Since 1987, we have specialized in the import and export of antique mirrors. 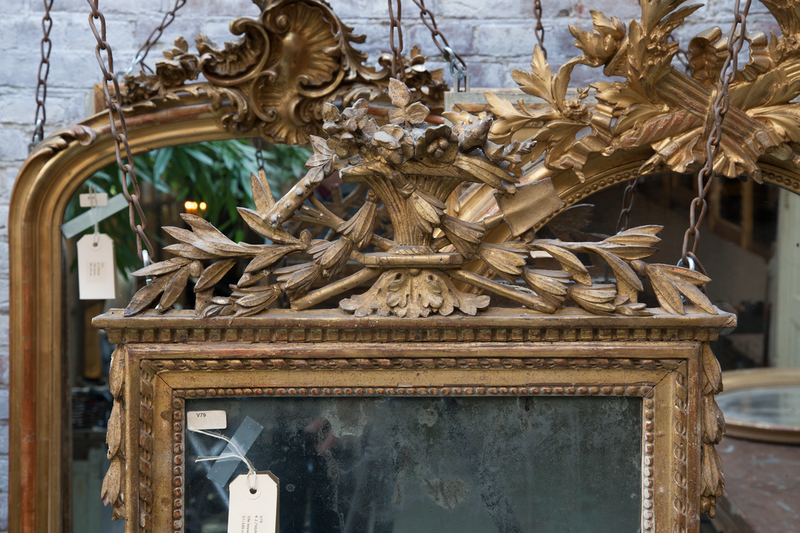 Our monthly purchase is a selection of authentic, quality mirrors, the majority of which are of French and Italian origin with gilded gold leaf as well as silver leaf. 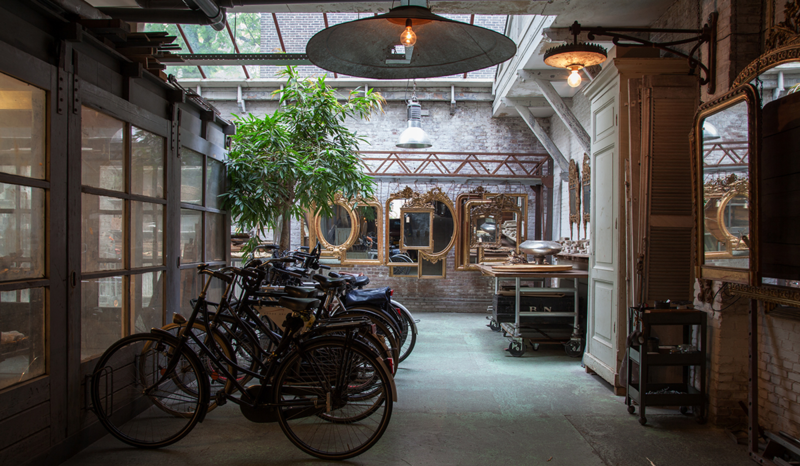 Our studio (450 m2) is located in a refurbished factory on the Prinsengracht and accommodates our collection of more than 300 mirrors from the 18th and 19th century. You can even park your car inside the studio when visiting. 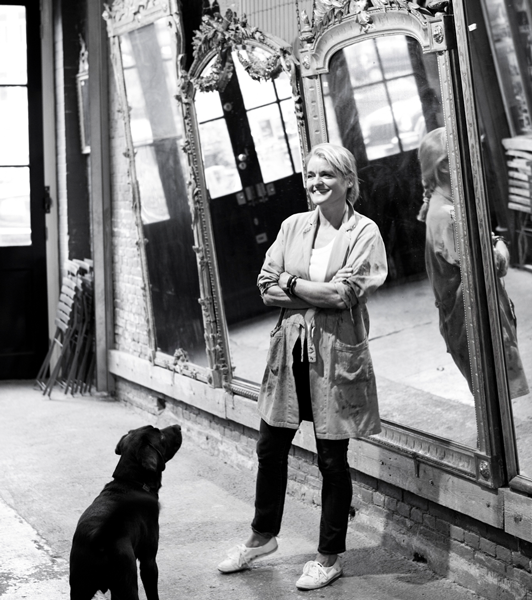 Upon acquisition, the mirrors are examined and, if necessary, restored in our own workshop. Any possible restoration is done according to the traditional techniques. Products such as animal glues, earth pigments, and bolus are used. 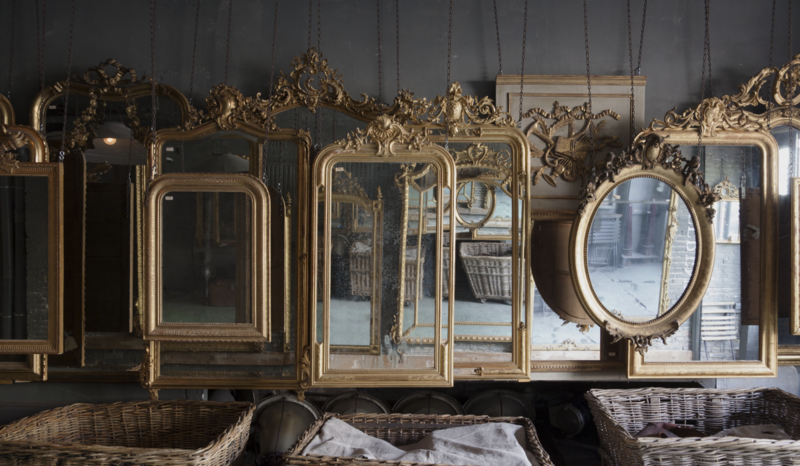 If necessary, the mirrors will be gilded with gold leaf or silver leaf while always preserving the original antique mirror glass.